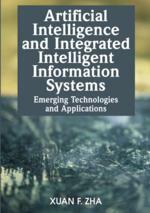 In this Chapter, a novel integrated intelligent framework is first proposed for virtual engineering design and development based on the soft computing and hybrid intelligent techniques. Then, an evolutionary neuro-fuzzy (EFNN) model is developed and used for supporting modeling, analysis and evaluation, and optimization tasks in the design process, which combines fuzzy logic with neural networks and genetic algorithms. The developed system HIDS-EFNN provides a unified integrated intelligent environment for virtual engineering design and simulation. The focus of this Chapter is to present a hybrid intelligent approach with evolutionary neuro-fuzzy modeling and its applications in virtual product design, customization and simulation (product performance prediction). Case studies are provided to illustrate and verify the proposed model and approach.